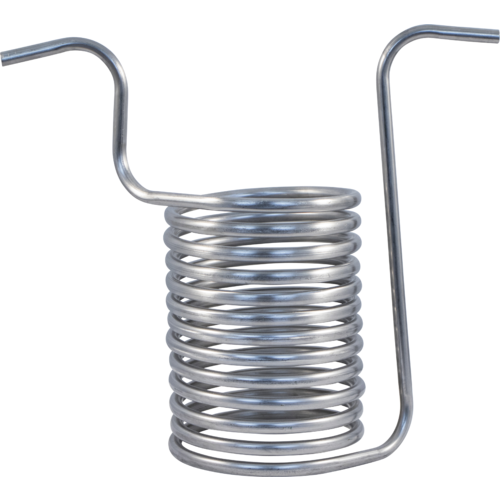 This is the stainless steel immersion chiller that comes with the 35 L Robobrew. Use with D1710 1/2" ID beverage tubing. Does anyone know the dimensions of this replacement coil? I am making a custom chiller specific for my pot and the space above my stove. BEST ANSWER: This coil is 7.25 inches in diameter and 16 inches tall. The ends of the coil are 19 inches apart.